I am pleased that you are considering Gan Israel Preschool to meet the early childhood education needs for your child. Choosing a school that supports Jewish values and teachings is one of the most significant decisions your family will ever make. I am confident that you will be pleased with the quality and dedication of our staff, the curriculum, and our outstanding facilities. 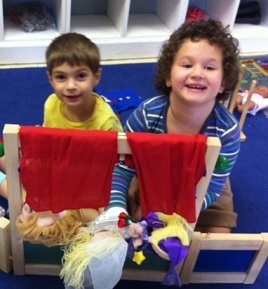 Gan Israel Preschool welcomes families from all walks of Jewish life to its preschool. Please read on below for more on the admissions process. Parents are to complete and submit a "Student Application Form" for each child. A non-refundable application fee of $50 must accompany this application. Before your child enters school, we will need a signed Certificate of Immunization Status and the Family/Medical Information sheet. All families are invited to tour the school and talk informally with the staff. Our director will give you a tour of our facility and get to know your individual interests and expectations. Parents will be notified as soon as a space is available for their child. Check Out Gan Israel Preschool on Facebook!